At College Now, one of our major goals is to help high school students who are college-ready find their best-fit college program. At a time when a postsecondary credential has never been more important, the work we do has an even greater impact on these students’ immediate and long-term futures. We don’t want to sugarcoat it for anyone – college is expensive, and need-based aid, especially in Ohio, isn’t what it used to be. First-generation, low-income students often face the biggest barriers when it comes to accessing higher education. In the past, many students could rely on the Pell Grant in order to afford tuition. However, college costs have far outpaced these financial supports. Accounting for inflation, there has been a 171 percent increase in the total cost of attending a private, four-year institution between 1975-76 and 2015-16 ($16,213 to $43,921), and a 150 percent increase in the total cost of attending a public, four-year institution ($7,833 to $19,548). The Pell Grant used to be able to play a significant role in paying for a student’s education; however, the Pell Grant today can only cover 31 percent of the cost to attend a four-year, public institution and 14 percent on a four-year, private institution. Discussing affordability isn’t meant to scare anyone away – as the cost of education after high school rises, it’s more important than ever to make sure students are making the right choice when it comes to their postsecondary plans. 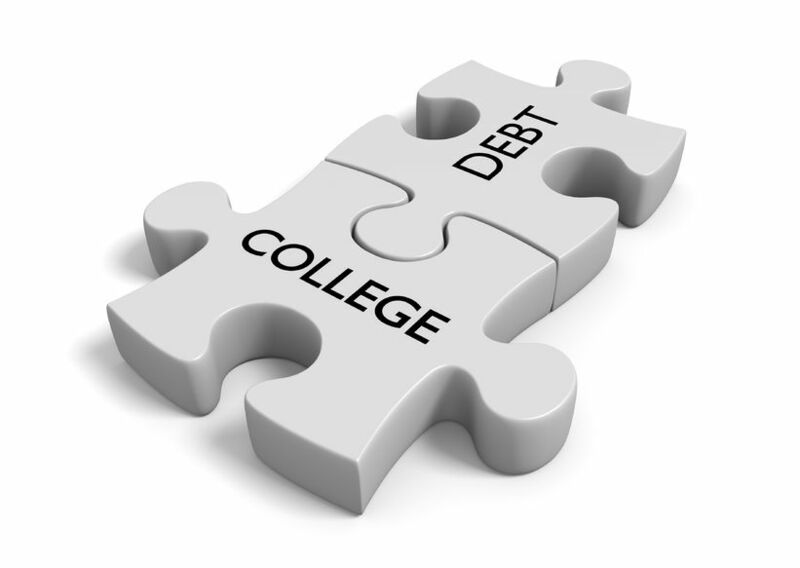 Attending an expensive college and deciding that it isn’t a good fit three-quarters of the way through their journey can throw a student deep into debt, while pursuing a major that doesn’t have a promising job prospect at the end of it can mean a similar fate. Finding the best-fit postsecondary pathway can require a fair amount of strategy, and starts with reviewing skills and interests. Are you passionate about machinery and working with your hands, or do you prefer to be in a more office-like setting? Is math your favorite class, or do you find yourself excited for English during the day? Figuring out your passions will help you make a postsecondary decision that you likely won’t regret down the line. Once you’ve figured out what exactly you like and where your skills are, it’s important to outline what your postsecondary journey might look like. If you enjoy hands-on work, you might be well-suited for pursuing a technical certificate as a welder. This means you could pursue a training program that could cost you between $5,000 to $15,000 at a community college or technical school and last about 18 months, and could result in a starting salary of around $80,000. However, that path isn’t for everyone. You may have skills that are more suited to being a journalist or a lawyer or an anthropologist. All of these careers would lead you down different educational pathways, where you’d need anything from a bachelor’s degree to your JD to your PhD. By determining these paths early on in your postsecondary process, you won’t be in for any surprises and will be able to prepare financially for the program you have ahead of you. It’s also important to see in what fields there are open jobs when determining what you’d like to pursue after high school. For example, you may find yourself in a region that is very focused on the technology industry, which would mean that pursuing an English degree may not put you in the most employable position for the open jobs in your area; you may want to study coding or a STEM field instead. Alternatively, getting a steel-working certificate in a region that thrives on arts and entertainment may not make you especially employable. With the cost of postsecondary education being what it is, it’s important to make sure that there will be a job for you at the end of your journey; no one wants to spend thousands of dollars on a degree that makes it difficult to find employment in their city once they graduate. The cost of higher education isn’t just managed through deciding the best-fit path of study; there are also ways to cut down the cost while you’re still in high school. By taking Advanced Placement (AP) courses or enrolling in postsecondary courses while still in high school, you can earn college credit without having to pay the college-level costs. AP courses culminate with students having to take a test and, if they earn a score of 3, 4 or 5, they will often receive college credit in a comparable class. Cleveland has recently rolled out College Credit Plus (CCP), which enables students to take actual college classes while they are in high school, which can transfer to their postsecondary institution of choice after graduation. AP and CCP often allow for students to complete up to two years of higher education before they ever leave high school; in fact, you can earn your associate’s degree if you take CCP classes through a community college like Tri-C! Community colleges are another way to save when pursuing postsecondary education. By starting at a community college and receiving an associate’s degree, and then transferring to a four-year institution, students will only have to pay for two years of school at the higher price of the four-year institution. Additionally, the Pell Grant often covers the entire cost of two years of community college – meaning a final two years at a four-year institution might be the only thing a student has to pay! However, it’s also important to make sure the classes you take a community college transfer fully to a four-year institution. Students also need to ensure that they aren’t pursuing “empty calorie” classes during their schooling. By having a clear picture of the academic path a student wants to take, they can make sure they are taking classes that feed into the end goal and not filling their schedule with classes that will count for nothing and, in essence, be a waste of hundreds of dollars. No one wants to waste money – especially not the thousands of dollars that are put in to postsecondary studies. By creating a strategic approach that aligns your goals and skills, and navigating a path starting with options available in high school, your postsecondary journey will be rewarding and cost-effective, and result in the career path you have dreamt of for your long-term future.